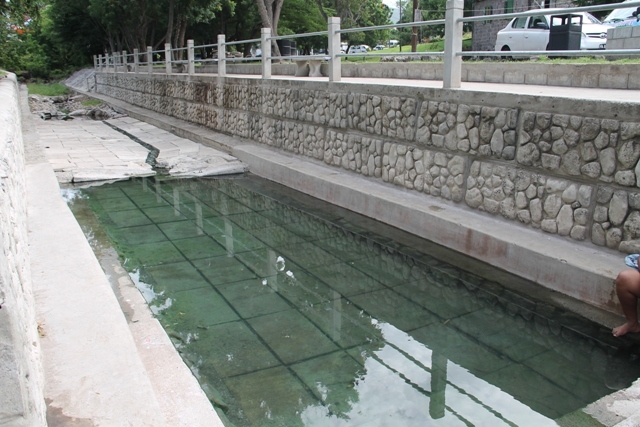 NIA CHARLESTOWN NEVIS (AUGUST 21, 2015) — The Ministry of Tourism is voicing concern with a recent occurrence at the Bath Stream grounds. 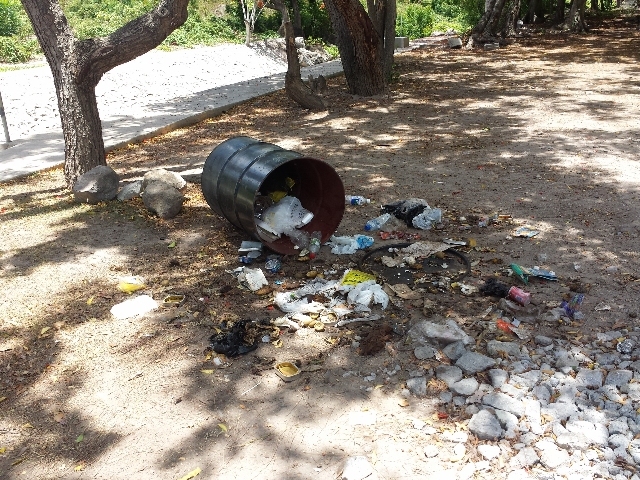 Permanent Secretary in the Ministry Carl Williams told the Department of Information on August 21, 2015, that bins placed at the prime tourism site were being used by some members of the public to dispose of domestic waste. 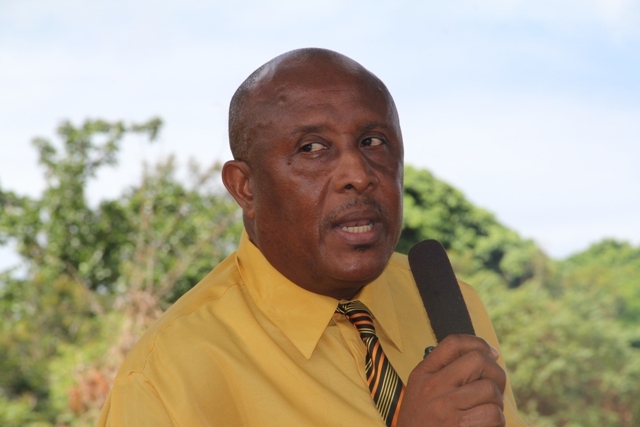 He said the ministry is appalled by that action and is calling on those responsible to desist from doing so. “Items like tuna and sardine cans, dry soup packages, chicken cartons and vegetable material are placed in the bins which not only create a stench but also result in an unsightly environment when the bins are overturned by donkeys and goats. The problem began recently when house holders began disposing of the domestic waste in the bins. It never occurs when leaves and grass are placed in them. To be disappointed is an understatement. After all, this is one of our premier attractions on the island which is used by locals and visitors alike to the Federation,” he said. According to Williams, the site is visited by every tourist on the island including cruise visitors who come to the island through the Charlestown and Basseterre ports, hence the reason for the ministry’s call to those responsible to stop engaging in dumping their waste in the bins placed for garbage generated by patrons to the site.